To order a print of this photograph or to license for editorial or commercial usage, please select the Add to Cart button to the right to proceed. For more information about our prints, please visit our Purchasing Prints page. 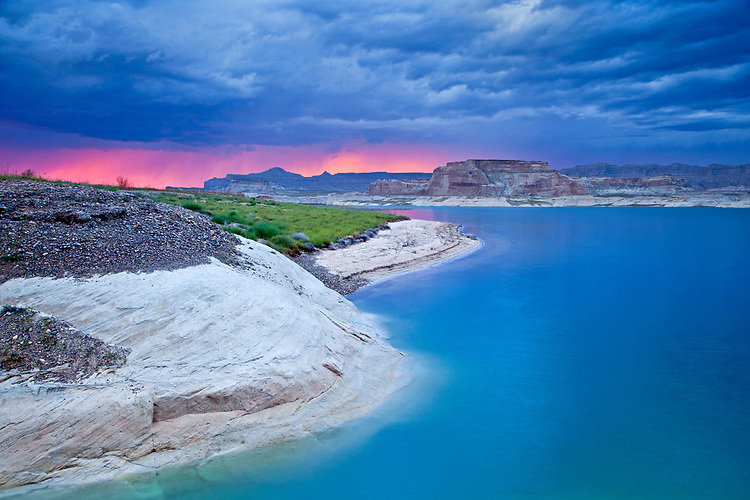 Viewed from the Lone Rock area of Lake Powell in Arizona, the sunset highlights a distant monsoon squall passing over the cliffs of the Grand Staircase-Escalante National Monument in Utah.